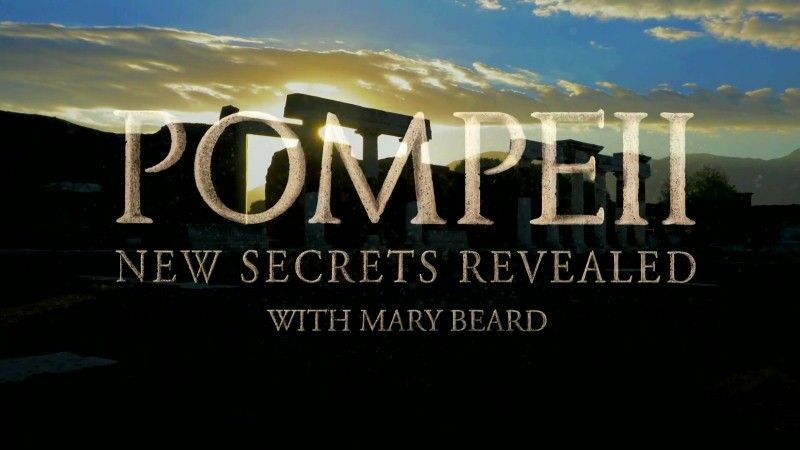 With unparalleled access to Pompeii and featuring cutting-edge modern technology, Mary Beard guides us through this amazing slice of the ancient world. For the first time ever, CT scanning and x-ray equipment bring new light to the secrets of the victims of the 79 AD eruption. Mary unpacks the human stories behind the tragic figures - gladiators, slaves, businesswomen and children. She goes behind the scenes of the Great Pompeii Project, where restoration teams have gradually removed the layers of time and deterioration from the frescoes and mosaics of houses closed to the public for decades. And with the help of point-cloud scanning technology, Pompeii is seen and explained like never before. Mary has unprecedented access to hidden storerooms and archaeological labs packed to the hilt with items from daily life: plumbing fittings, pottery, paint pots, foodstuff and fishing nets. As she pieces it all together, Mary presents a film that is a celebratory and unique view of life in this extraordinary town. This page was last modified 11:52, 19 February 2019.